Hubble, the world's first large space-based optical telescope, has taken many beautiful pictures of the planets and stars. kbshimmer's April Polish Pick Up contribution pays homage to the Hubble with this polish based on a photo it took of Jupiter, its three moons and their shadows. Hubble'd Together starts with a teal leaning mint base that is loaded with holographic micro flakes for shimmer and shine. Unicorn flakes echo the pastel shades of the colorful inspiration photo, while glow powder gives this polish a green toned glow in the dark. 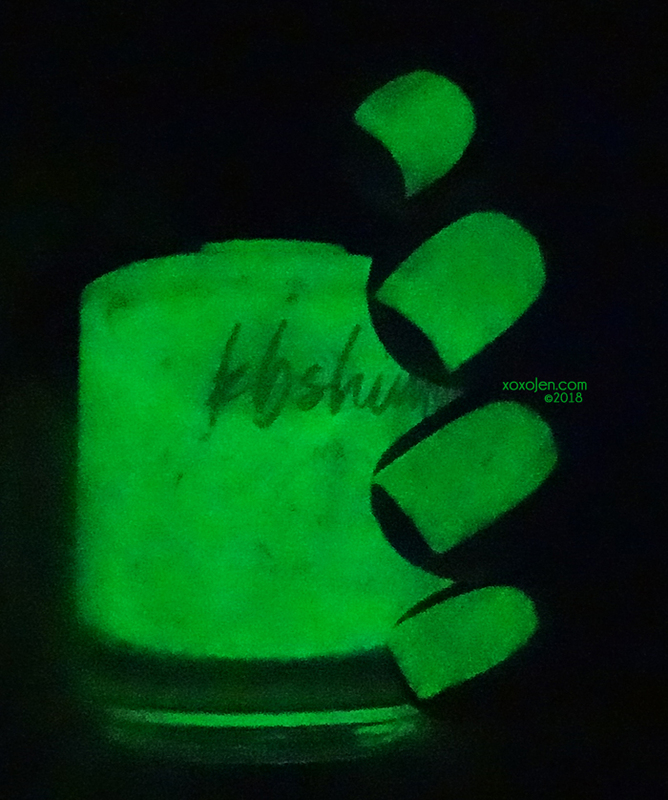 Shown here in 3 coats and I have to say, this is the best GITD formula I have ever used. It is super smooth and gel like, no grit at all. Christy suggests layering over black for a unique flake filled look. Glow in the dark, flake, jelly, teal, holographic, space inspired - what a perfect combo! KBShimmer’s Hubble’d Together polish will be available 04/06/2018 – 04/09/2018 at https://www.polishpickup.com.